New Hampshire Sportspage, celebrating its 11th year of high school sports coverage, brings you the weekly Adrenaline Fundraising/Buffalo Wild Wings Player of the Week Poll. After each week's slate of games, candidates for the award will be posted. Voting will go until Friday at noon before we name the winner on Friday night. 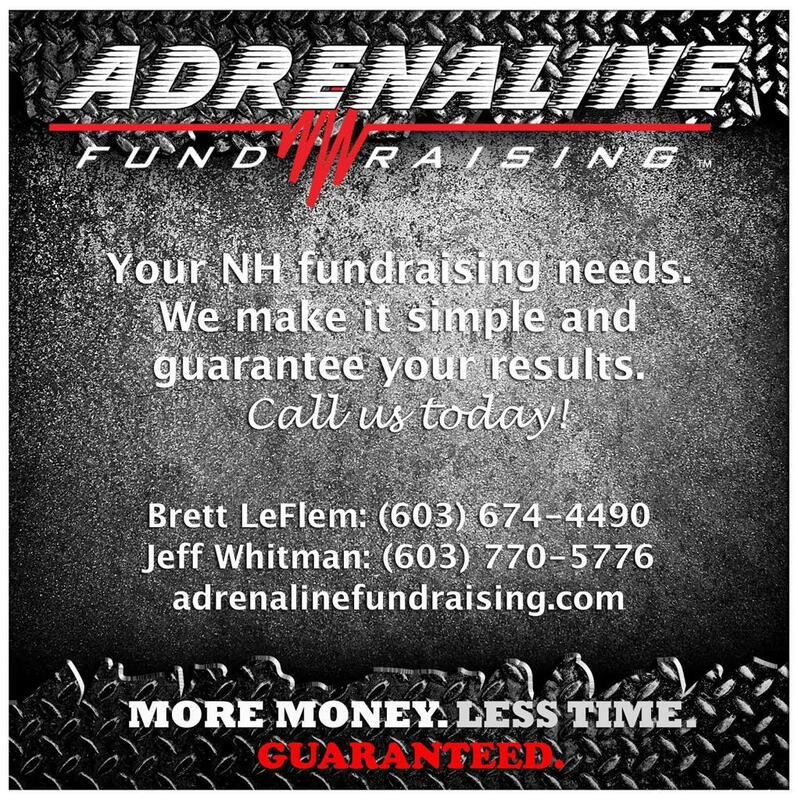 The team at Adrenaline Fundraising has raised money for New Hampshire’s football programs from the high school to youth level for over 20 years. Jeff Whitman & Brett LeFlem of Adrenaline are sponsoring our weekly player of the week poll throughout the school year. Each winner will receive an Adrenaline t-shirt and a Buffalo Wild Wings gift certificate! Maddie McCorkle- Hanover: Maddie was everywhere on the court Tuesday night when she helped her team defeated previously undefeated Lebanon. She finished with 24 points on the night. Gwen Simpson-Monadnock: Player Locker Room member Gwen finished with a team high 17 points in a great bounce back win over local rival Fall Mountain. Mariah Chamberlain-Conant: In the annual Hoops for Hope game on Saturday, Mariah came up big with 22 points and 10 rebound in a win over Monadnock. Alli Morgan- Bedford: Coach Kevin Gibbs gave me some exceptionally detailed stats on the week Alli had and let's just say they were good including 32, 16, and 17 points in wins over Manchester Central, Concord and Goffstown. Olivia Harris- Pittsburg Canaan: Olivia and the Yellow Jackets are having a great season and are 10-6 with a chance to possibly host a home playoff game. Olivia had 16 and 13 points in wins their last two wins over Moultonborough and Gorham.